If you haven’t checked my Facebook already, I have an amazing announcement! In March I will FINALLY be going on my first tour! 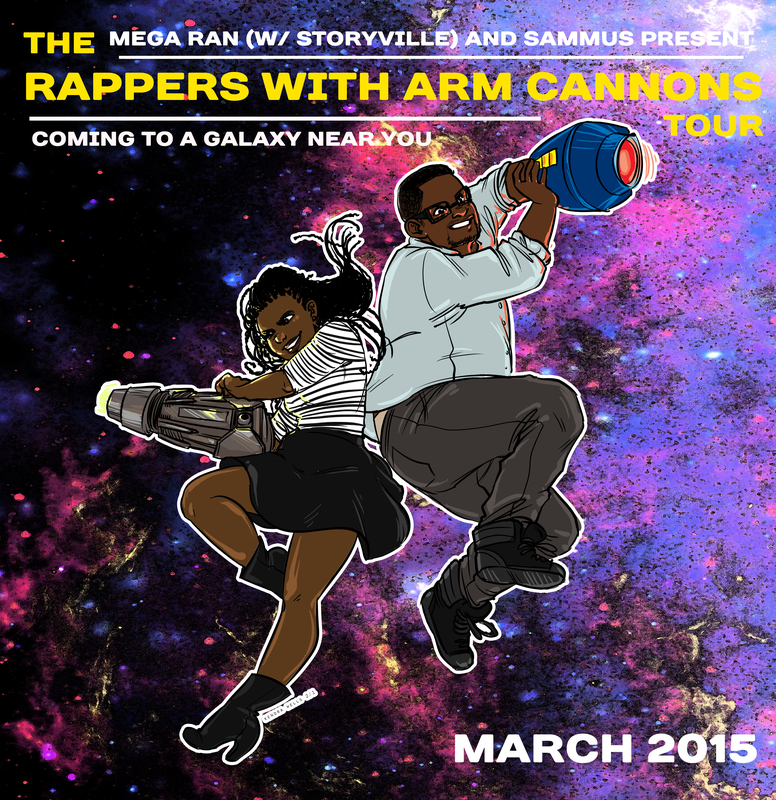 That’s right — Mega Ran [with Storyville] has graciously helped me to plan the logistics and will be joining me on the aptly titled: “Rappers with Arm Cannons Tour.” We’ll be moving from the Northeast through the Midwest down to Austin, TX where I’ll be performing at my first South by Southwest! Words can’t describe how excited I am! Details will be going up HERE (including where we decide to go for our one TBA show on the 11th) so check back if you want to catch us! Shout-out to the real MVP, Kendra Wells, for the awesome artwork you see below — hope to see you on the road!